Beer wall sticker - Two pint glasses filled with ice cold beer topped with creamy bubbly foam heads. 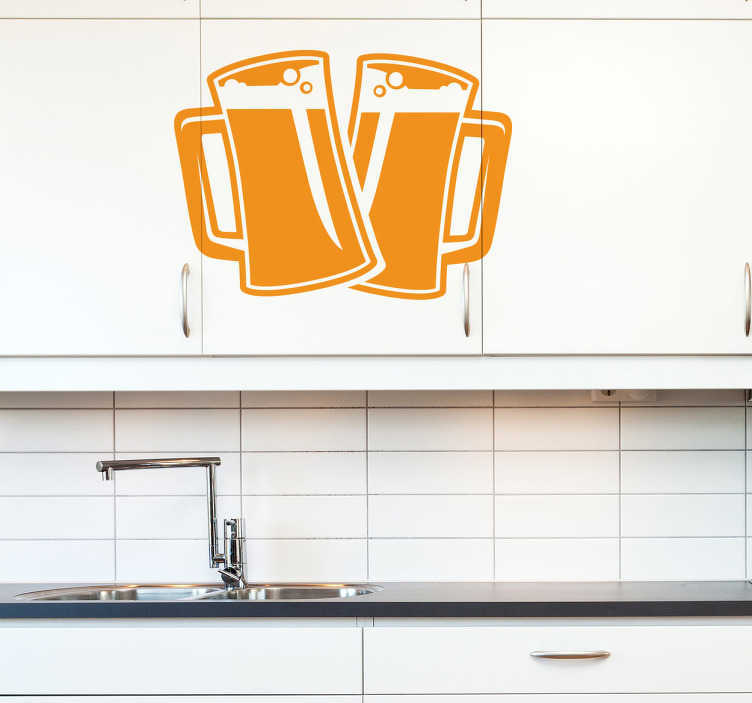 Perfect drink sticker to decorate a kitchen, bar or man cave with. Made from high quality, anti-bubble vinyl. Available in various sizes and in 50 colours.